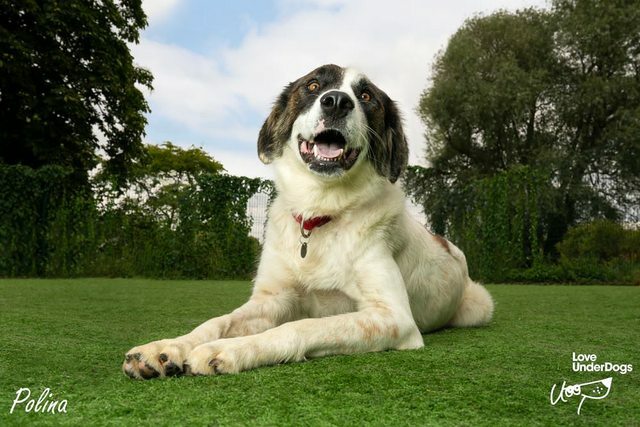 Polina is a 3 year old female Cross-Breed. 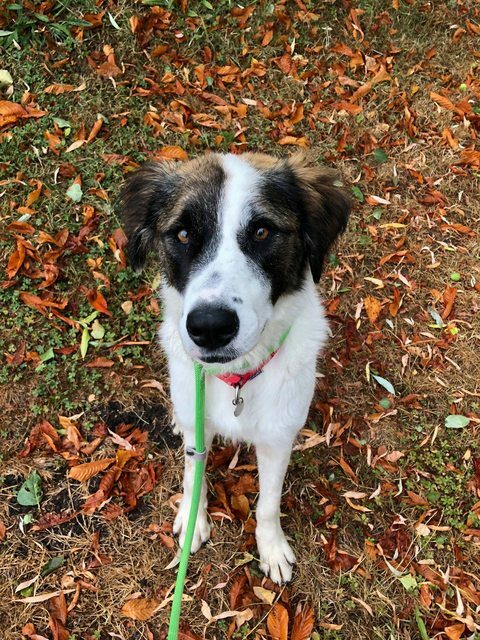 Polina is a wonderful girl, she is good with people and other dogs, albeit she is quite unaware of her size and power and can sometimes get a bit over the top. Although she is estimated at 3 years old, she is very playful, very puppy like. When she runs around she is quite clumsy! It’s very endearing. She is a super strong girl, learning to walk on the lead, once she is on her way she walks well but will pull to start so we have fitted her with a perfect fit harness to help her with her training. She has evidently been starved in recent times, she needs to put on weight and can get a little protective over food. She is not yet comfortable with anyone near her treats but then it’s normal for many of our dogs who have had to survive in the streets. We feel it’s early days and once she knows it keeps on coming she will relax around her breakfast. All in all, a super dog with a great personality, a good sense of humour would help appreciate this girl who is truly hilarious at times. She’s just great fun, up for all the good things that life has to offer, and would love to be in a home. Solid dog experience is a necessity for this girl due to her size and behaviour around treats and because Romanian street dogs often need observant homes who can adjust to them well.